During the Women Leaders Global Forum in Reykjavik, Iceland, on 28 November, the International Olympic Committee (IOC) was presented with an award for promoting gender balance in sport, through several initiatives on and off the field of play. The Power Together Award was received by the ITU President and IOC member, Marisol Casado, chair of the Gender Equality Review Project Working Group. After accepting the award, Marisol Casado, said “The award recognises the efforts of the IOC to forge a new path in advancing gender equality within the sporting arena and beyond. The introduction of the IOC Portrayal Guidelines for Gender Balanced Representation is just one example of the IOC taking concrete steps to address a recognised gender bias problem. 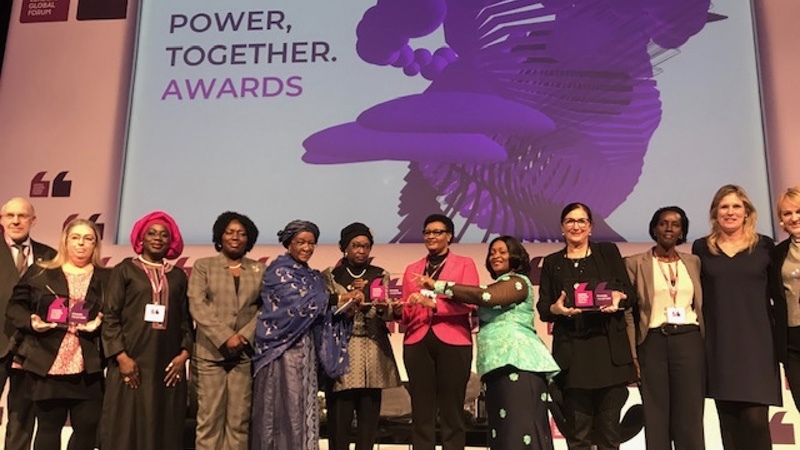 The Women Leaders Global Forum was co-hosted by Women Political Leaders (WPL), the Government and the Parliament of Iceland, which also selected the winners of the inaugural Power, Together Awards. Fostering gender equality and encouraging women’s involvement in sport is a priority set by Olympic Agenda 2020, as is the achievement of 50% female participation in the Olympic Games. Over the last year, the IOC has picked up the pace in advancing gender equality at the Games but also throughout the Olympic Movement and beyond. In terms of athlete participation, not only was gender balance achieved at the Youth Olympic Games (YOG) Buenos Aires 2018, but female athletes are expected make up 50% of competitors at the YOG Lausanne 2020 with almost 49% at Tokyo 2020, record numbers for the Olympic Games. The Power, Together Award also recognised the importance of the Gender Equality Review Project as a key step towards enacting effective change and removing barriers that prevent women and girls from participating in sport at all levels. Launched in February 2018, it includes 25 gender equality recommendations across five key themes: governance, human resources, funding, sport and portrayal. Meanwhile, off the field of play, the IOC has pushed for more progress in developing pipelines for professional development and equal access to many different kinds of sporting roles – from leadership and administration to coaching, to medical support, technical officials and more. The IOC has also put a sustained effort into balancing the ranks of its own leadership and membership. The number of women in its Commissions increased to 42% in 2018. This represents an increase of 16.8% in female participation compared to 2017 and an improvement of 98% since 2013. To promote best practice in sport, in 2000 the IOC launched the Women and Sport Awards. Each year, six trophies (one for each of the five continents and one at world level) are given to women, men or organisations who have made remarkable contributions to the development, encouragement and reinforcement of women’s participation in sport. The winners’ work is also supported with a grant to help them continue and extend their work.